Cape Town - Mamelodi Sundowns have no PSL games scheduled for the rest of September as they shift their focus to the CAF Champions League. Over the weekend, the African champions edged Wydad Casablanca 1-0 in the first-leg of their CAF Champions League quarter-final tie at the Lucas Moripe Stadium. The Brazilians were set to face Ajax Cape Town in a midweek Premiership clash but the match has since been postponed. 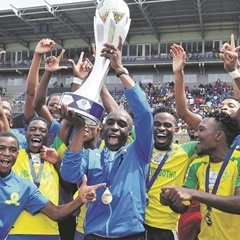 According to Soccer Laduma website, Sundowns are set to jet out for Morocco on Monday, September 18 for the second-leg. The match will be played on Saturday at the Complexe Mohammad V, Casablanca. Kick off is at 21:00 (SA time).